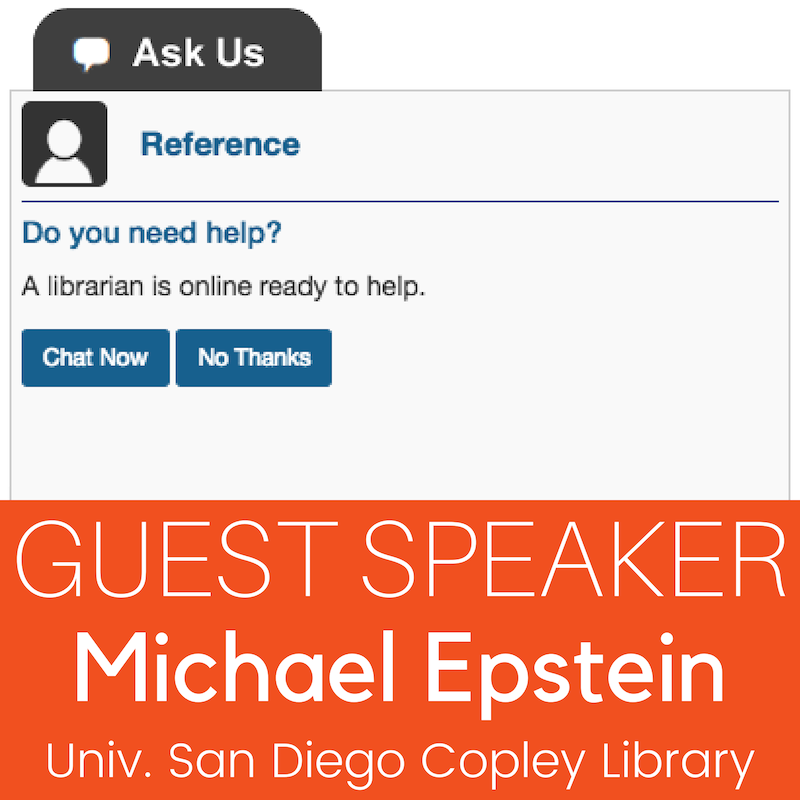 Hear guest speaker Michael Epstein from the University of San Diego’s Copley Library discuss how implementing the LibAnswers Proactive LibChat widget helped them increase engagements 600%. (10min) Brief LibAnswers Tour - Join us for a quick tour of LibAnswers, including all the many components that are at your disposal, from searchable FAQs, a robust ticketing system, social media management, LibChat, to the systems & services management tool. (2min) LibChat Proactive Chat Examples - We'll explore 2 - 3 examples of different proactive LibChats engaged at real institutions! (10-15min) Proactive LibChat Leads to Real User Engagement - Guest speaker Michael Epstein will present on how implementing a LibAnswers Proactive chat widget led to a significant increase in chats for the Copley Library's reference department. (5min) Q & A - Come prepped with questions!